Would you wait two or more hours to eat at one of the hottest new restaurants in the city? 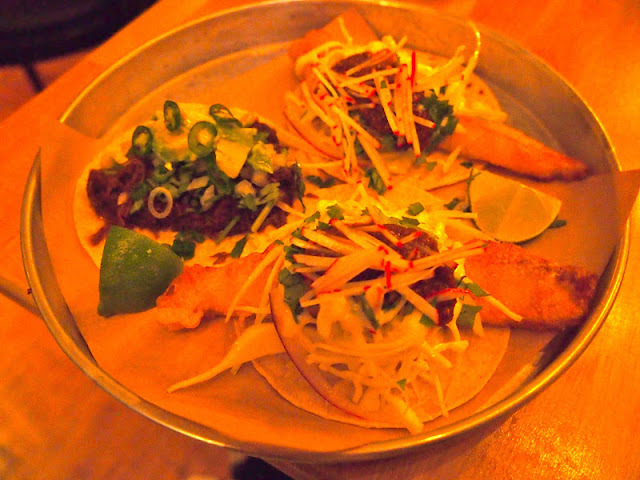 That’s the question you’ll have to ask if you're considering dining at Grand Electric, the Mexican restaurant in Parkdale that has seen a line-up out the door every night since opening last November. 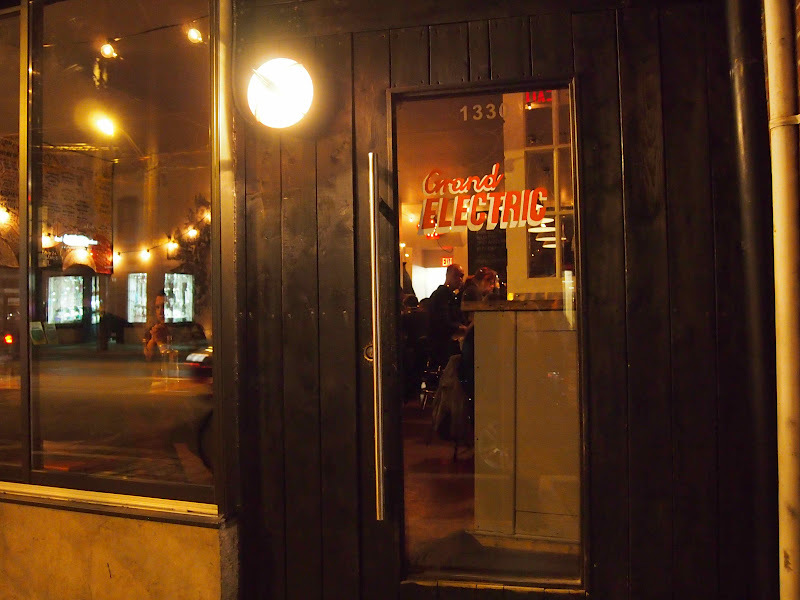 Grand Electric doesn’t take reservations, and by 7 pm it has a clipboard full of names of those who are waiting to taste why their tacos and guacamole have been called the best in Toronto. Once you’re in you’ll get the buzz. The lights are low and the stereo blasts hip-hop music in a small room of red picnic tables. More than two-dozen kinds of beer and bourbon choices are lined up on wooden shelves, and the menu is scrawled on blackboards. It’s best not to waste too much time obsessing over the menu choices – the dishes are all under $20, and you’ll want to experience as many as you can. 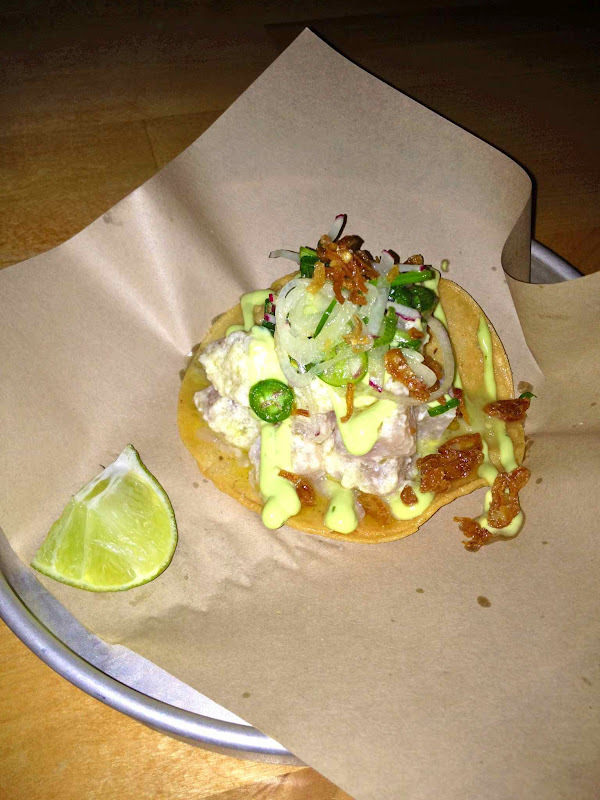 We started with the Tuna Ceviche ($7.50), a mix of thick cut marinated tuna, green chili, radish, shallots and yuzu mayo stacked on a fried tortilla. 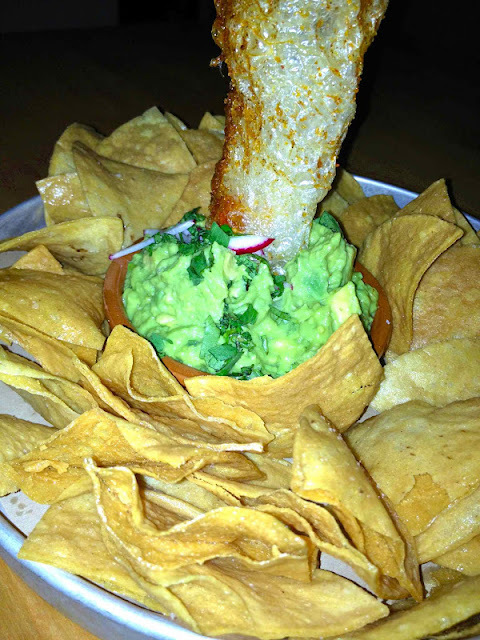 Up next we went for the Guacamole and Chips ($8) that definitely lived up to the hype with its mix of mashed avocado, lime and salt, fried organic corn chips and fried pig skin dusted in chili powder. 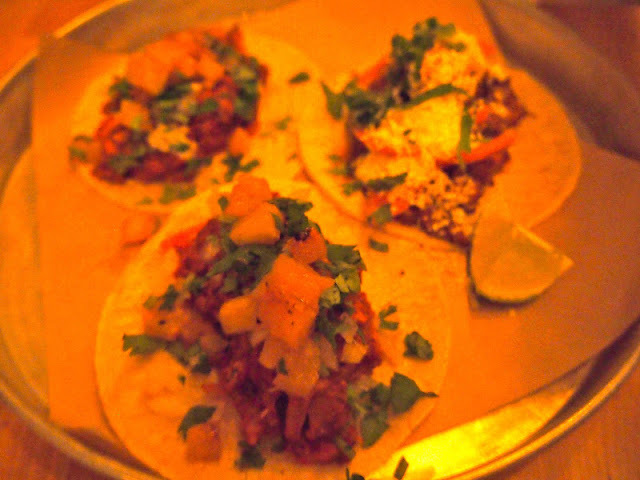 At three for $10, we tried the entire taco selection featuring Pork Belly al Pastor garnished in pineapple, Baja Fish made with melt-in-your-mouth fried tilapia, Spicy Arbol Chicken with chili and onion and saucy and tender Beef Cheek all topped with cilantro, zesty lime quarters and a tantalizing variety of sauces. You’d think there wouldn’t be enough room for dessert, but you can’t possibly leave without sampling the Key Lime Vasos ($5). 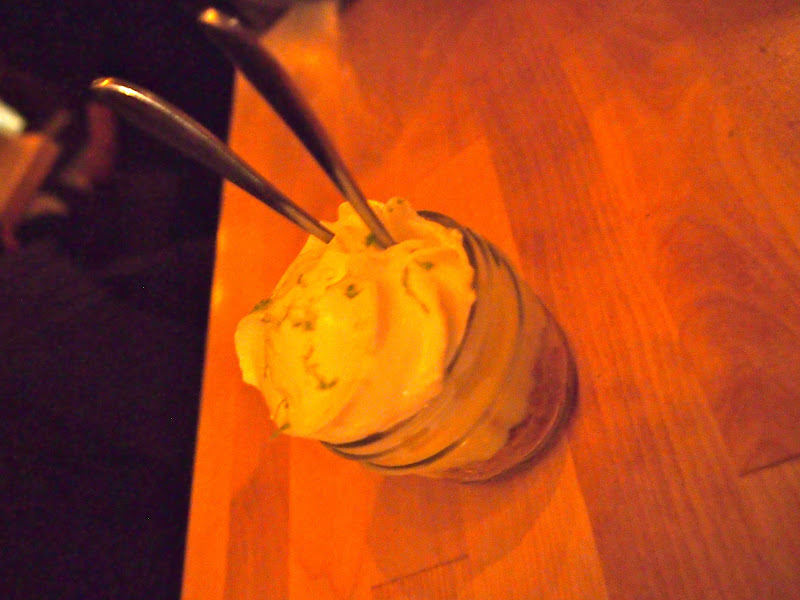 A mini Mason jar of lime curd is layered between graham crumbs and whipped cream for the perfect palate-cleansing treat. We suggest getting to Grand Electric before the doors open at 6 pm to be sure you’ll get a seat as soon as possible. If not, be prepared to cozy up with a few drinks at one of the nearby bars and wait for that coveted call.